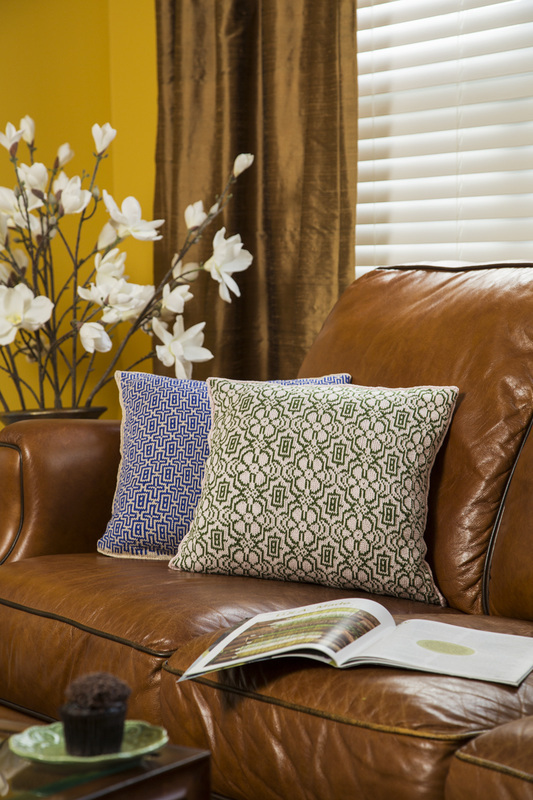 Bring the outside in with the Modern Motif pillow. One side of this project is covered in a field of blooms while the other is decorated with a motif inspired by Georgian era garden plans. Worked in the round and carefully finished, the project promises to keep your attention and, when finished, will become a cherished heirloom for your home. After the stranded knitting is completed, the perimeter of the piece will be finished with applied i-cord. 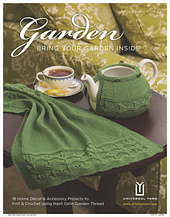 Depending on your choice of colors from Universal Yarn’s Garden 5, it can be a piece that is graphic, subtle, romantic, or timeless. This project is worked in the round and requires basic knitting knowledge, including knit/purl, i-cord, and finishing, including the installation of a zipper. Modern Motif Pillow by Kyle Kunnecke from Nazeli Gelin Book 5: Bring your Garden Inside, published by Sixth&Spring Books. ©2014 Universal Yarn. Used with permission.